Not so much a current event but a retrospective of past current events. 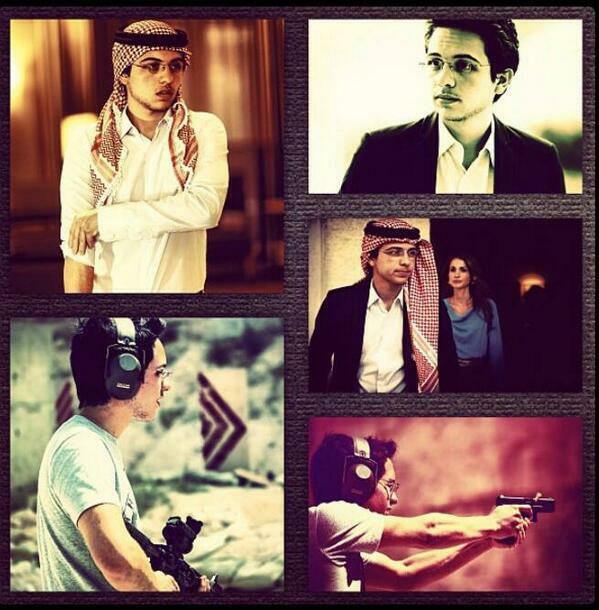 This video was put up on YouTube by the Royal Hashemite Court to celebrate Crown Prince Hussein's birthday. [CENTER]Not so much a current event but a retrospective of past current events. I posted this video in Children of KA & QR's thread on his birthday, June 28th. So I read that he goes to Georgetown so does that mean he lives in the US more than in Jordan now? That is true. CP Hussein is studuing political sciences at Georgetown university ,but he is returning back home regularly & now spending his summer vacation in Jordan. He no longer is a boy but very much a young man now. Ah thanks, I'm so envious! Do you think he will attend Sandhurst after graduating from Georgetown? Yes, i think he will follow his father's footsteps and attend Sandhurst. Military training is necessary for him because as per the the Jordainian constitution & as the king of Jordan he will be the head of the army in future. According to his father, CP Hussein is interested in flying like his late grandfather king Hussein & uncle prince Faisal ,so, he may also take flying lessons during his stay in the US. I don't think Hussein will attend Sandhurst. I don't think he wants to be EXACTLY like his father and he wants to do some things on his own. I think he'll definitely attend military academy but it won't be Sandhurst like his father. I mean, he's already attending the same college his father went to as a post-grad! I think Hussein will attend a military academy in the States. For some reason, I think he prefers the States to the UK. I don't know. I'm just guessing. "'If I were dead and buried and I heard your voice from beneath the sod my heart of dust would still rejoice.' Do you know that poem?" Sandhurst is like a family tradition for the JRF & i think CP Hussein willl follow them. I remember in 1999 or 2000, when king Abdullah succeeded his father , he told ALhayatt newspaper that he was always thinking that his late father will be with him till/on the day his son (CP hussein ) graduates from military academy. Prince Hussein attends part of the ASBC boxing Championship .. With Aoun Juma. He's really handsome and he's close to my age (lol only a few princes are close to my age) sigh. Just kidding. Today he performed 1st Juma prayer in Ramadan at King Abdullah's Mosque.